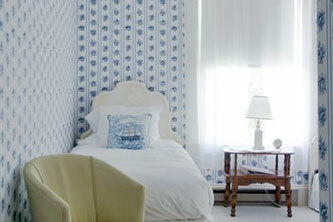 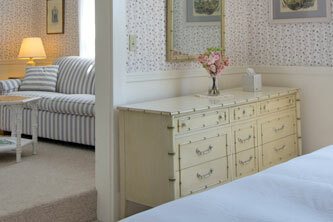 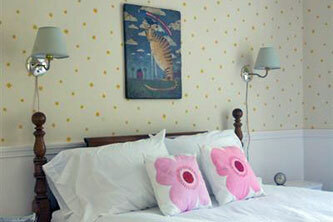 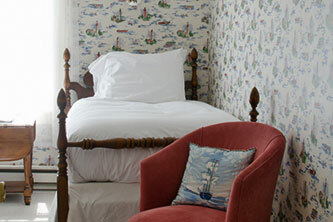 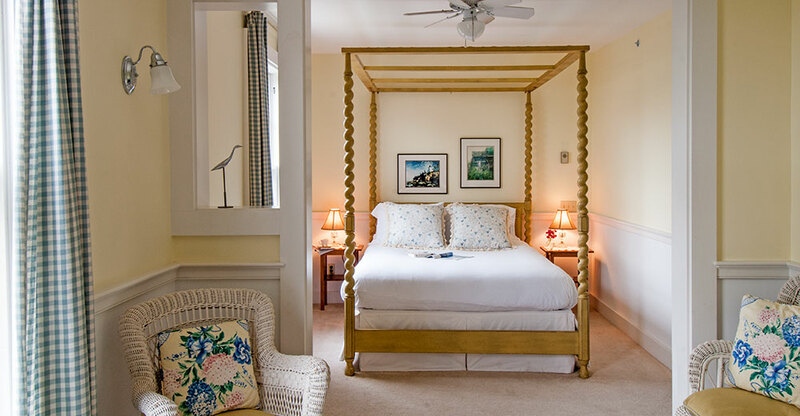 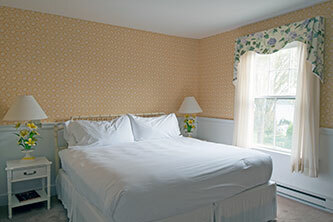 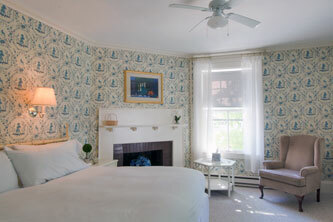 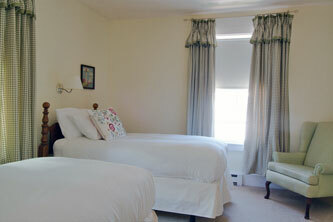 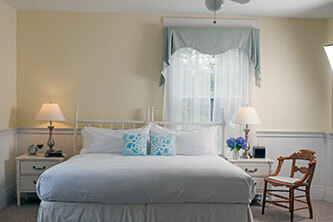 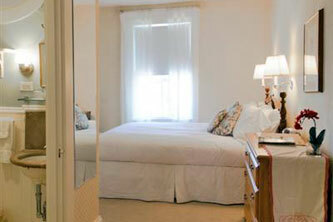 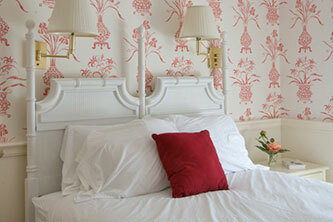 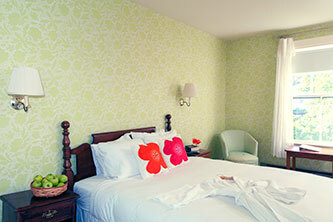 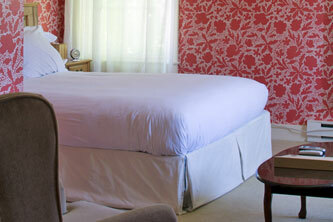 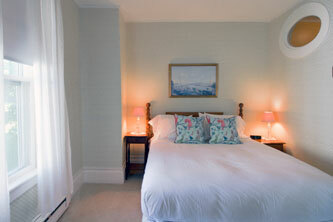 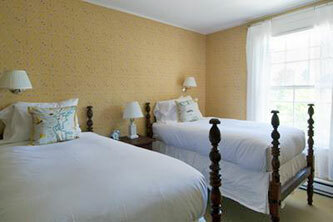 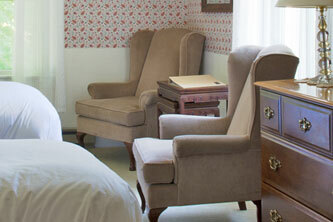 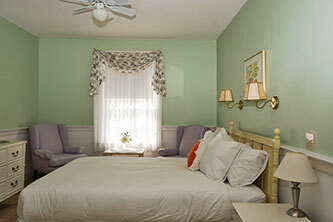 This lovely queen room and adjoining sitting area have a fabulous view of the Inn's renowned garden and rose crescent. 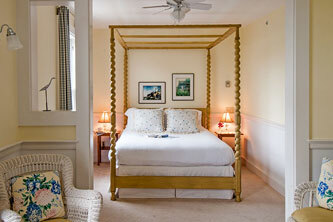 The charm of the spiral posts of the canopy bed made up with Italian linens and a lofty duvet is only enticing. 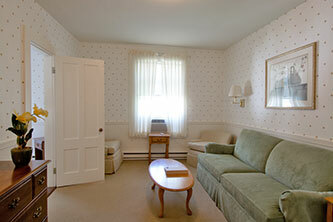 Traditional Maine wicker is found in the sitting area. 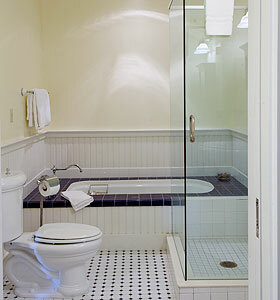 Private bathroom bath with tub and separate stall shower.